Onigiri, or rice balls, are perhaps one of the most commonly known types of Japanese dishes with the longest history. Originating in Japan, onigiri is known to have been enjoyed since the 11th century. 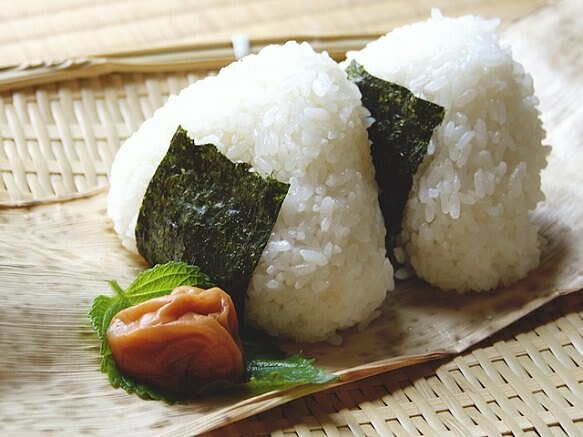 Onigiri is made of plain white rice and shaped into a triangular form. 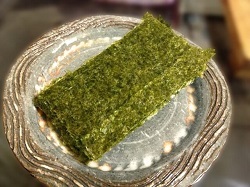 Unless it is a shiomusubi, which is an onigiri with no filling, most onigiris have a filling in the center. 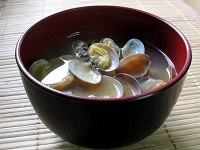 The fillings range from the most common umeboshi, or pickled plum, to miso and okaka. 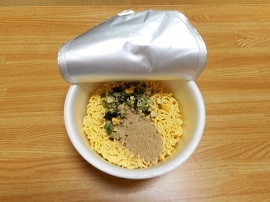 These days, there is an even larger variety of fillings such as tuna with mayonaise, tarako, shrimp tempura, beef teriyaki, etc. 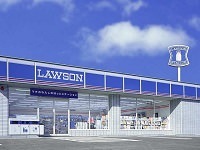 A large selection of onigiri can be found at most convenience stores and are priced anywhere between 100-150yen. 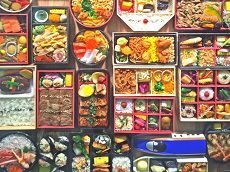 For those with bigger appetites, some convenience stores and supermarkets offer onigiri bento lunch box sets with two rice balls and various tsukemono (Japanese pickles) on the side. Nowadays, there are even drinkable rice balls for the diner on the go. Interestingly, while Japanese rice balls have been featured in numerous Japanese anime and manga, they were often given poor translations in earlier works that were dubbed for American audiences. Some notable translations include donuts from the famous Pokemon series and chocolate rice balls from the Digimon franchise. Hungry for an onigiri? Swing by a convenience store with your tour guide while on vacation with Japan Deluxe Tours and grab a few to try. 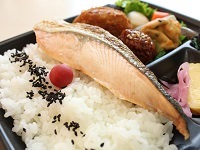 If you're extra hungry, go for the bento lunch box set for an onigiri meal!